Tuesday Treats is a weekly round up of blog gems hosted alternately by Ruth at DorkyMum,Chris at Thinly Spread Liz at Me and My Shadow and me! This week I am delighted to say is my turn. This weeks Tuesday treats are just that…. treats from blog land. Last week was our half term here in the Midlands so my reading wasn’t extensive but it was delightful. My adored dad died before my children were born but is it so important to me that they know who he was. I take them to the fair where he worked each year, I show them photos and I tell them nany stories but it’s never felt quite enough. Sally over at Who’s the Mummy describes another way to share such memories. Wanting to share memories of her brother with her daughter she revisited their old haunts and they played their way through her childhood memories. It’s such a sad yet sweet and touching post. It is also an absolutely inspired, inspiring and child friendly way to walk down memory lane A beautiful post. Siblings also feature in this heart warming post from Emma. Observing hers getting along so well she reflects she would have liked a sibling to be best friends with. Her daughters response is just gorgeous! Whilst I’m getting a bit sentimental I have to share with you the musical advent over at Dance Without Sleeping. Carol brings us a song a day from her Christmas memory box daily from now to Christmas. If these don’t make you nostalgic I don’t know what will! Back in the present I know many of you have half term this week and (ever thrifty) I know it can be a worry money wise. Over at Catch a Single Thought Jess shares her half term on a budget – she has some lovely ideas! This week o f course is Halloween and I have seen the most amazing makes and bakes across the internet. For me thought the best crafts and recipes are ones my kids can do themselves. 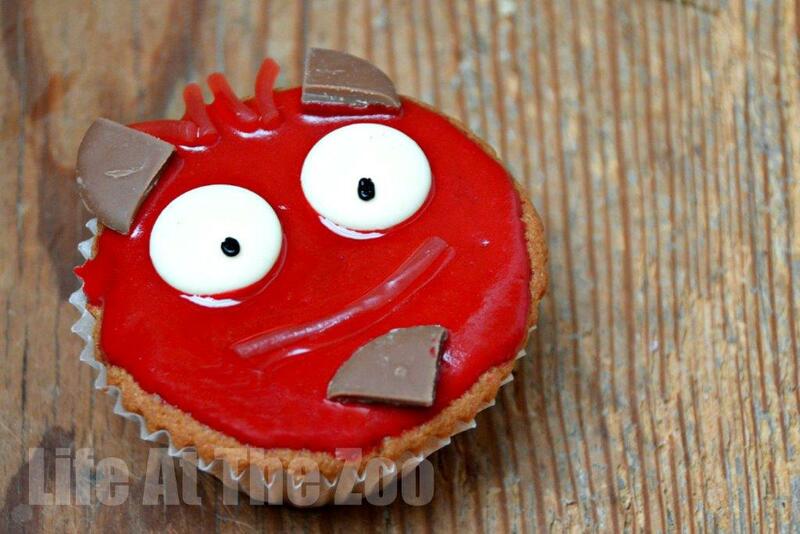 Over at Life at the Zoo, Maggy Woodley shows off her cheeky little Devil cakes These are cakes that my kids could have great fun making themselves and they looks just great! Last but not least I want to introduce you to a fabulous blogger you may well have come across already. El is the undisputed queen of thrifty blogging. Over at A Thrifty Mrs her blog is fun, informative and a complete treasure trove of ideas. This week she has written a brilliant piece on how to watch free films online legally Here she shares some top tips that will save us a packet and open up some great entertainment. Marvellous. So a mix of the emotional and the practical from me this week! Come and tell me on twitter (@babybudgeting) your favourite sad song and go visit these very wonderful posts if you get a chance, you will be (ever-so) glad you did. Thank you so much for mentioning me and my blog, it so sweet of you! I’m off to check out the other blogs you have mentioned. A Thrifty Mrs recently posted..Bargain Boots £40 and under!